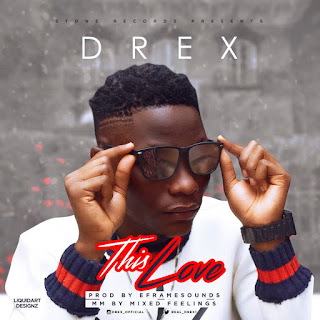 Stone Records recording artiste, Drex has released his second wavy single for 2018 titled “This love“. After the successful released of “Oshey”, Drex is back with a club banging tune tagged “This Love”. He flexed his muscle on a new hit song titled “This Love” and it’s nothing but a certified banger. The song was produced By Eframesounds.